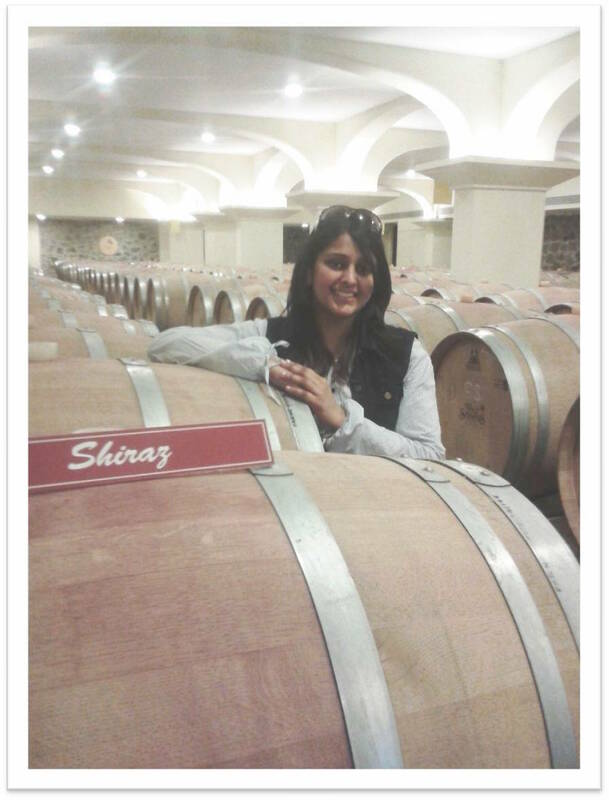 Come August and Indian Continent starts looking a big melange of lights, colors, and festivity all around. Starting from the Ganesh Chaturthi to Navratri to Diwali to Ramzan to Christmas, the last quarter of the year is full of festive cheer. Hey women, In midst of all festive preparations, do not forget to tend to self. Other than the religious rituals, the festivals are more about dressing well, feeling and having a hale of time with family and friends. 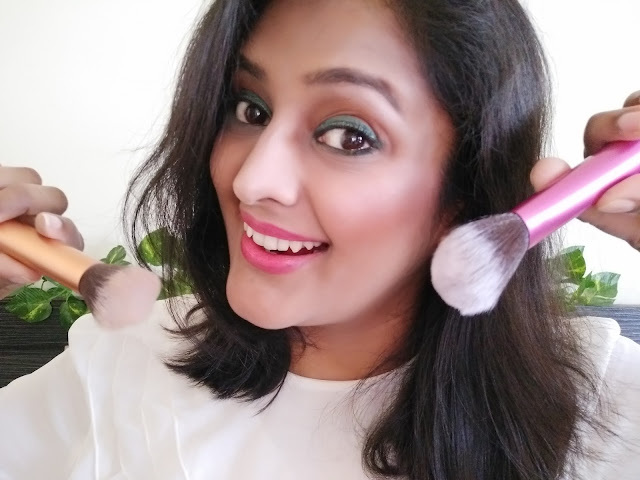 I have already shared a Maharashtrian makeup look with you on my YouTube channel. Subscribe and stay tuned for more festival special look coming on my YouTube Channel. So while the makeup is sorted, let us figure out some festive clothing as well. When it comes to fashion, what could be more appropriate than Indian Ethnic wear? And when it comes to Indian ethnic wear, look no further but our own indigenous brand- FBB [Fashion at Big Bazaar]. 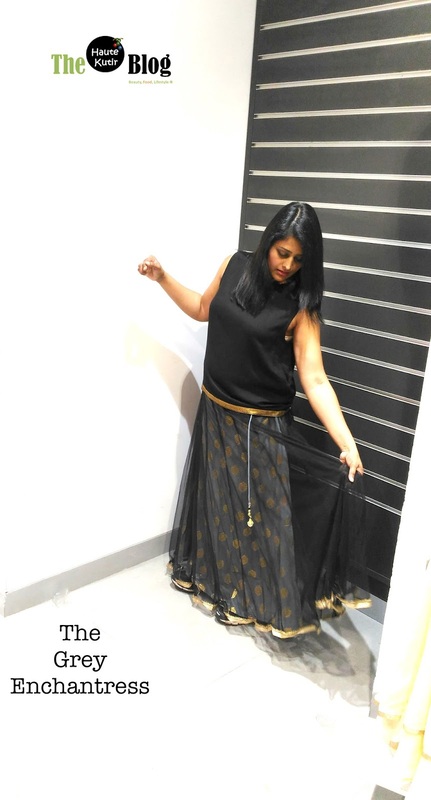 Given the wide range of Indian, Western, Indo Western clothing available at FBB, it is obvious that you may confuse what to shop and how to style. 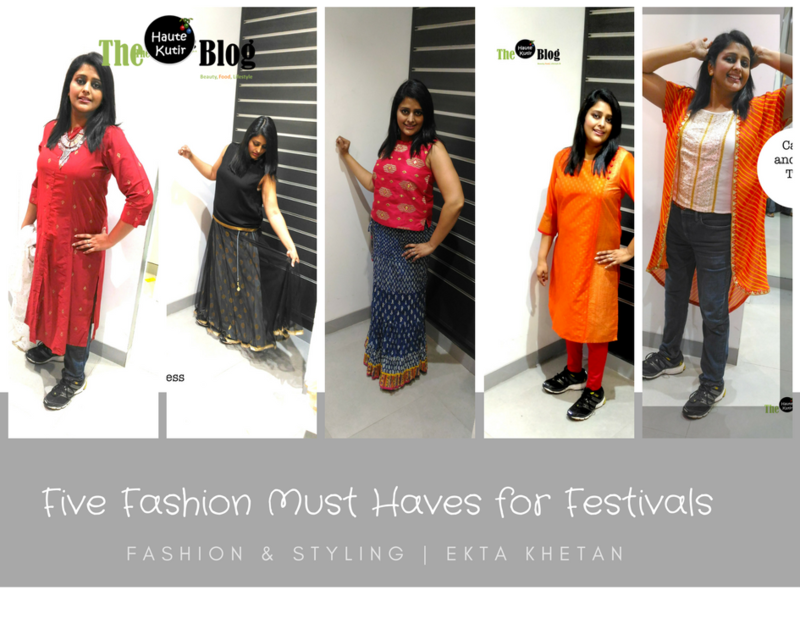 Given the fact that you may have 1000s of things to tend during the festival season and shopping for self-becomes a second priority, I, in association with team FBB have come up with few Fashion and Styling ideas that you may like to try. 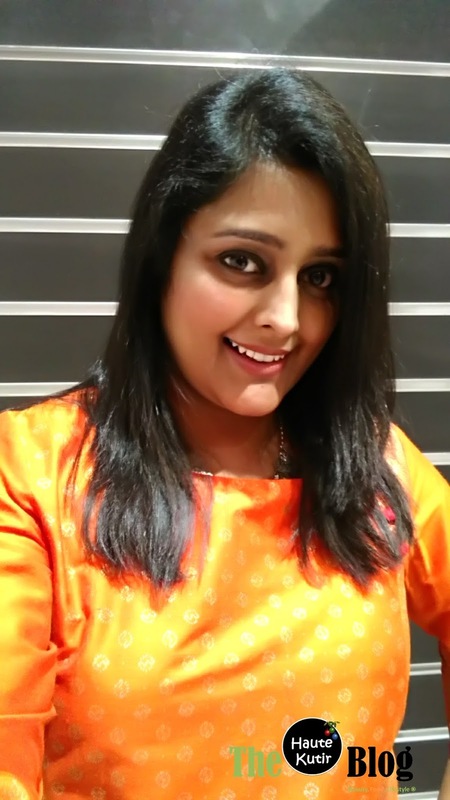 Is it a kurta or a Kaftan? Well, it is both and yet none. 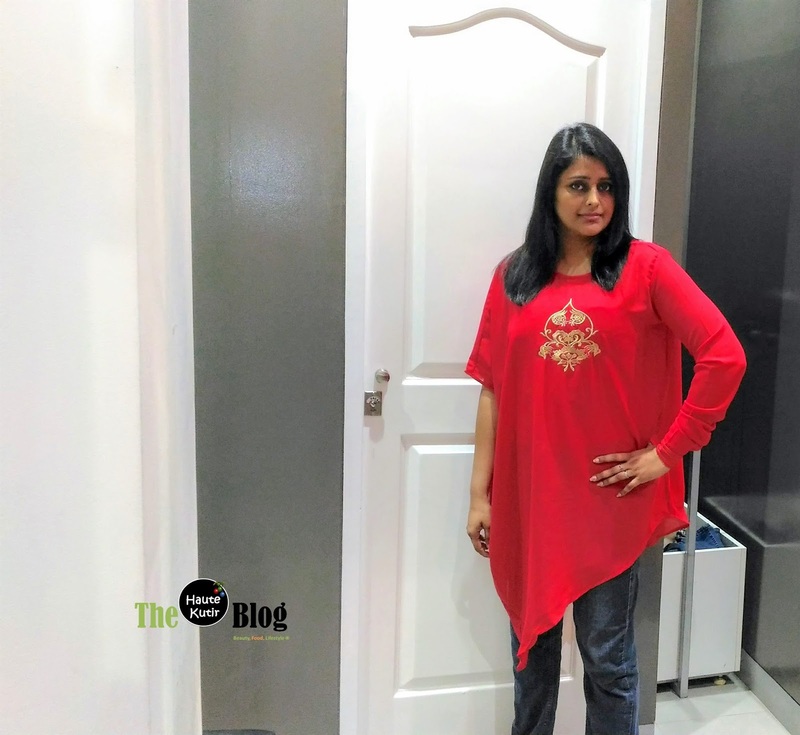 For the first look, I picked up this simple but asymmetrical Kurta Top in red. It has a golden embroidery at the center and comes with an interesting match of sleeves and asymmetrical flare at the bottom. 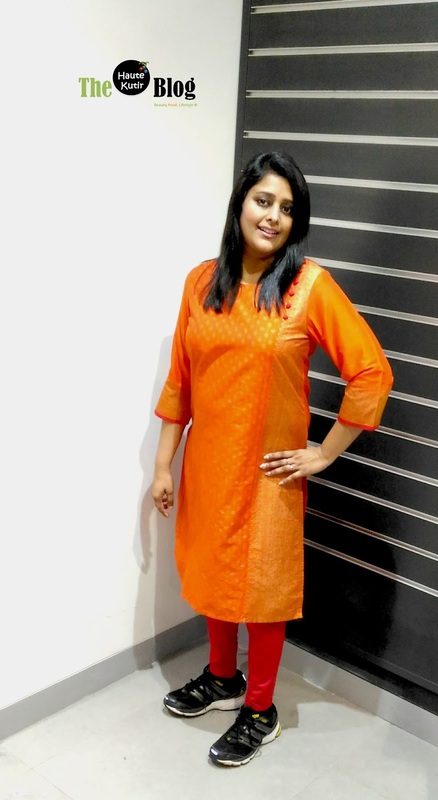 It is a simple, easy to style Kurta that you can wear your denim, trousers or cigarette pants. The bright red and golden brings a good glow to your face and you can style it with minimal jewelry. Besides, it is good for size zero as well regular and plus size women. I love Oranges and being a Rajasthani, I love all things Leharaiya. So when I saw this beautiful orange shrug in lehariya print, I wasted no time to pick it. 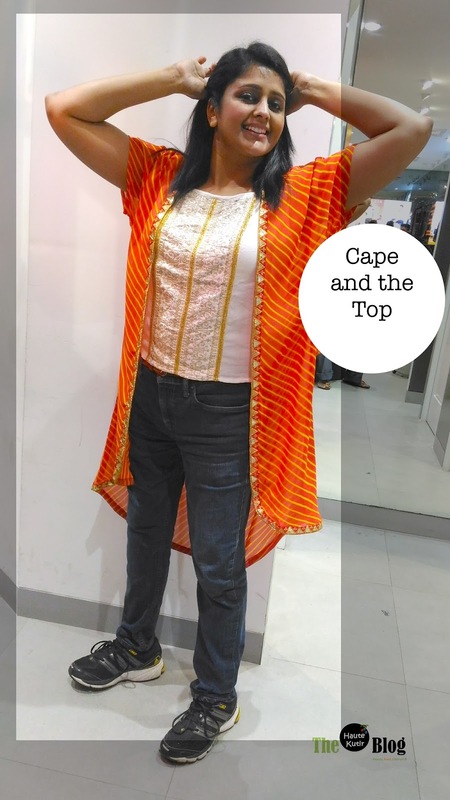 It is a simple, beautiful long shrug which cannot be worn alone but when paired well with right clothing, it can accentuate your style quotient to the moon. I paired it with a beautiful white and gold short top from the same store. Since it is a festive combination of Orange, Gold and White, that speaks for themselves, I paired them with a regular blue denim. Denim reminds me the amazing collection at FBB. 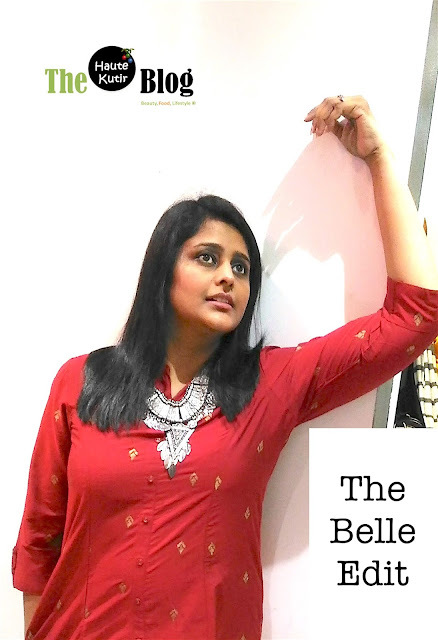 If you are a skinny or even a plus size female, check out their denim starting from INR 700 and above. Some amazing piece of Jeans there. You call it Crimson, you call it Maroon, I call it perfect festive belle color. There is something about the deep maroon color, it is beautiful and adds that special glow on your face. When I saw this long Maroon Kurta with my favorite band gala neck, I know it had to be part of my wardrobe. You can wear it atop white, maroon or beige leggings or salwar or even a normal skinny jeans too [if you are not too much into Indian Dressing] and style it with a nice neck piece or a statement earrings. I have styled it with my tribal fusion necklace and it looked brilliant. Taking a dupatta is optional. If you may wish, go for a similar color or a net or a beige golden sheer dupatta [can also be worn as stole]. I told you am smitten with the color orange and when combined with Gold and pink/red, the color spells sparkle. 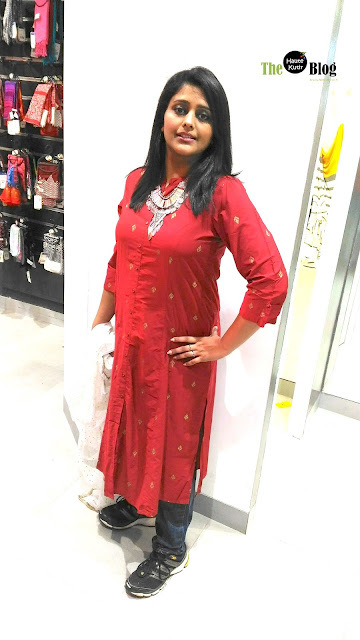 To style this look, I picked this straight fit, long sleeve Kurta from Shristi and paired it with deep red leggings. This look is perfect for women who like to wear bright yet simple attire. The kurta has a charm that the moment you wear it, it makes you feel good and look charming. It has a round neck but with round cloth button pattern on left, so you can accessorize it with a pair of earrings in golden color or wide bangles/kada. There is something mystical and magical about the color black. It is one of my favorite colors and I loved the styling with it. 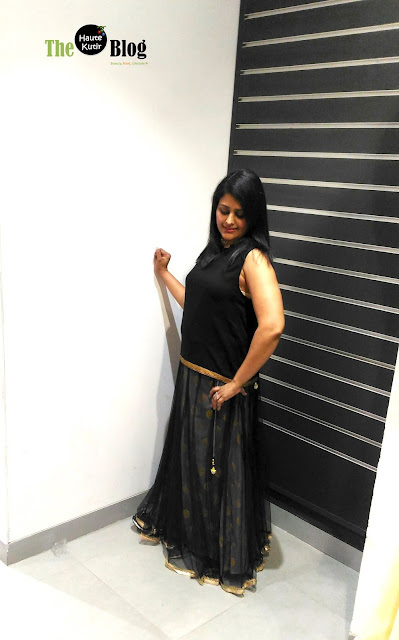 I picked this enchanting black, gray lehenga skirt from FBB with golden detailing. Paired it with a black and halter neck from the same store. You can pair it with a long top, kurta or shirt of any other color incl silver gray or cream. I have picked this look for the ras-garba. To accessorize, pick a set of broad, narrow bangles and up your quirky ante. If you have long hairs, braid it in a pony or a bun and add some white flowers for that ethnic look. Well, those were my five festive Fashion must-haves from FBB. I have also tried option in Palazzo and cotton skirts. I have picked and styled this look at the newly opened FBB outlet in Andheri West, Mumbai. You can shop these looks from any FBB outlet nationwide. PS: The recommendations are basis the stock available in the select outlet and may not be a comprehensive list of all festive garments on hangers. Also, if you want my suggestions on makeup looks/colors for any of these styles, feel free to ask. Hope you will have great festivals ahead. PS: All pictures are taken in a normal setting to give you the most natural idea of how a dress could be styled for diff body types.